Today was a day I have been waiting a long time for and it finally got here! Not that I wasn’t looking forward to the fact that it was Summer Streets where New Yorkers get to take over a seven mile stretch of streets in the city but today was the day when I could compare some marathon training data. I’m a nerd so give me a break. When looking back at my long run training for last year’s marathon, I realized I actually didn’t start training for the marathon in earnest until this time last year. 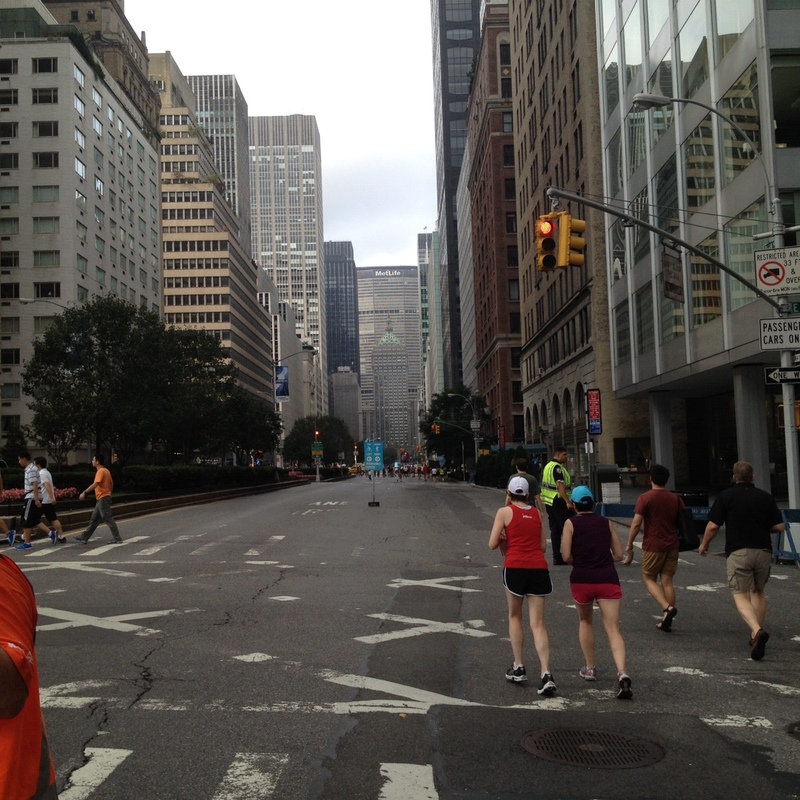 My first long run of the 2011 marathon training cycle was this seven mile run along Summer Streets. My need to compare training data with last year has been pretty strong and the fact that I haven’t been able to do that has been driving me nuts. Today I finally got that chance and I like what I see. First, just from a running perspective, I felt a lot better than I remember feeling last year. I was able to find my correct long run pace early and was able to maintain it. I remember the last couple of miles last year being a real challenge and feeling completely spent when I finished. This year, I felt pretty good and that I put in the exact right amount of effort. Second, the numbers look good. I ran a slightly faster pace than last year and more importantly consistent splits which can be hard to maintain on this course where there is a lot of stopping. This is where the auto pause on my Garmin comes in handy. My quad felt great and I recovered fairly well but I suppose sitting in a hospital room all afternoon with my mother probably wasn’t the best thing I could have done. It was achy when I got home but the BioFreeze took care of that. Tomorrow is the Damon Runyon 5k at Yankee Stadium. That involves a lot of stairs which translates into stress on my quad. I’m pretty confident we’ll be in good shape because you know I’m not going to pass up running on the warning track at Yankee Stadium! I’ll have video of one of the loops around the warning track and hopefully be able to give you an idea of what it’s like to run on the track. It really is a cool feeling. Now to give my quad some TLC so that it won’t be too mad at me tomorrow. This entry was posted in NYC Marathon, running and tagged BioFreeze, Garmin, NYC Marathon, NYC Summer Streets, Running, training. Bookmark the permalink.